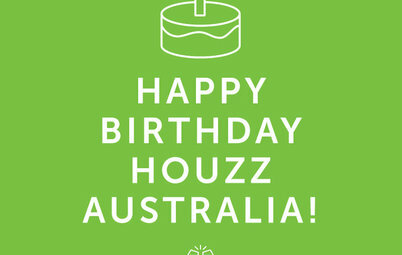 Houzz Australia Editorial Staff; writer, author, dreamer. In the Aboriginal culture of Australia, art and design have been used as forms of communication and education for 50,000 years. 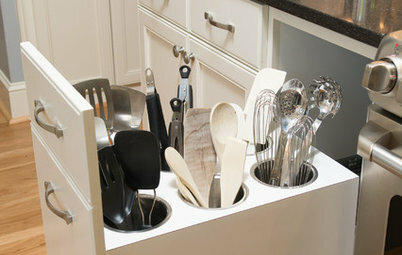 Today, contemporary design concepts complement the traditional arts and crafts that have evolved over centuries. 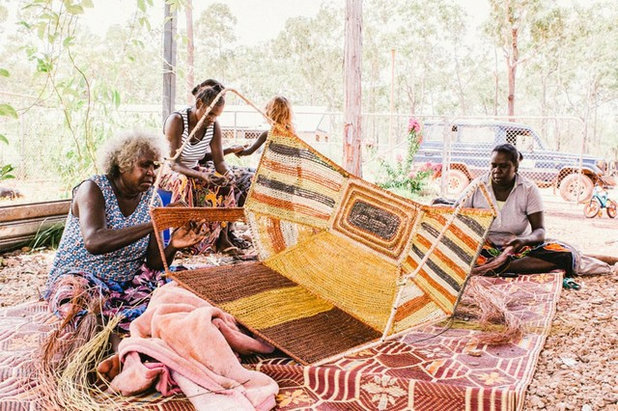 Many designers with an Indigenous ancestry are helping to develop a new sense of the Australian identity. 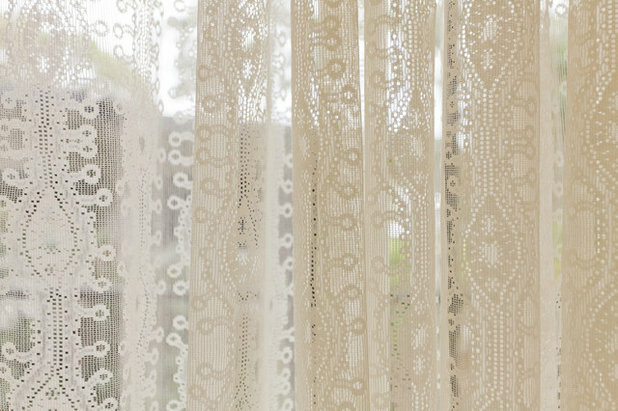 Read about a group of weavers and four other designers, all women, who are leading the charge. 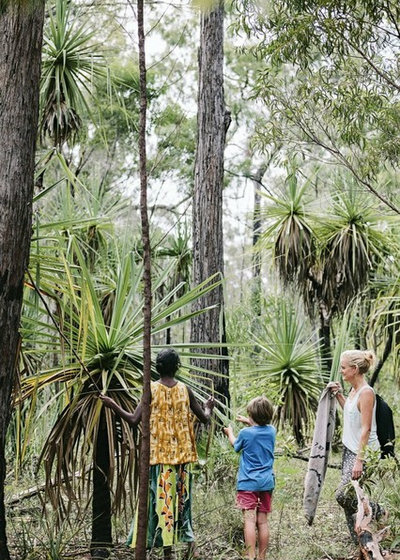 Seven years ago, Sasha Titchkosky – cofounder with Russel Koskela of Sydney retailer and design company Koskela – contacted the Yolngu women of Elcho Island Arts in north-eastern Arnhem Land, in Australia’s Northern Territory, about collaborating with the company. 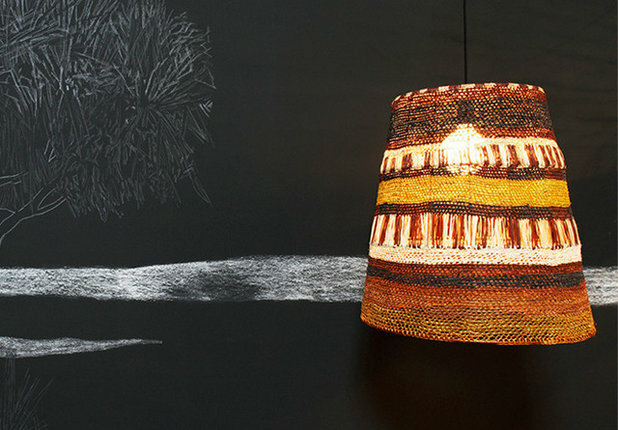 Out of that came a partnership in which the Elcho Island women adapted their traditional weaving techniques to help Koskela produce contemporary lampshades for pendant lighting. 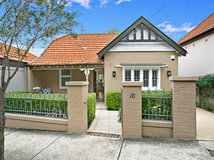 The collaboration has resulted in an Australian style that melds ancient practice with cutting-edge commercial design. 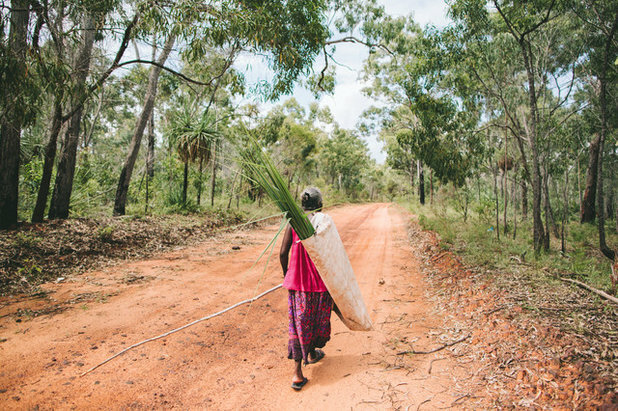 In fashioning the lampshades for Koskela’s Yuta Badayala (A New Light) collection, the Elcho Island women use plant-based dyes to colour locally gathered pandanus and kurrajong fibres. 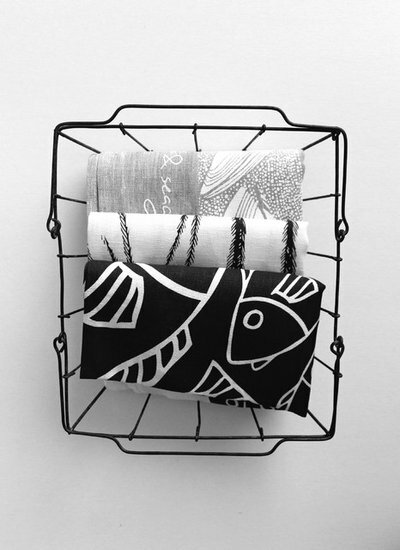 “The fibres are then used to weave intricate designs over a black frame,” Titchkosky says. 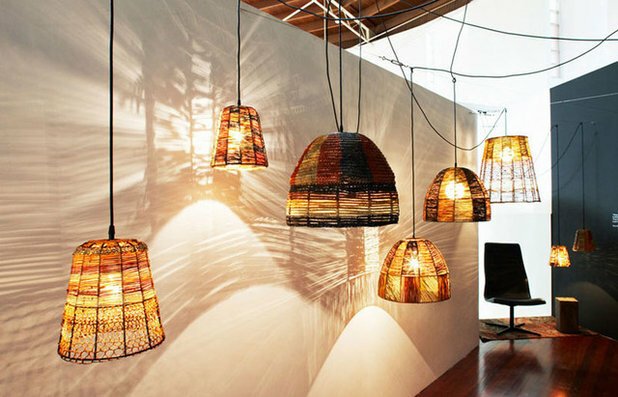 The light shades, which can be quite large, take the women up to a month to complete. Russell Kennedy, senior lecturer and course director in visual communication design at Deakin University in Melbourne, calls this nexus between Aboriginal traditions and contemporary design exciting. 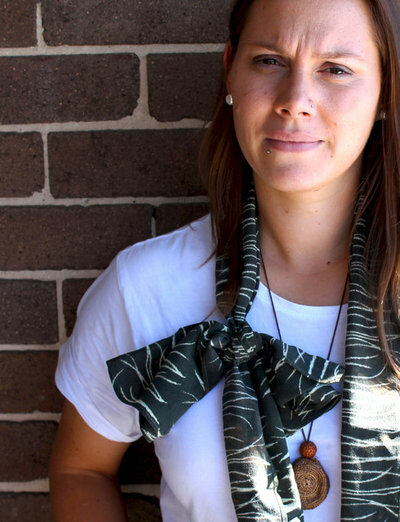 “Contemporary expressions by Indigenous designers are working to create authentic points of difference as we continue our search for the seemingly elusive ‘Australian style,’” says Kennedy, founder of Indigo, International Indigenous Design Network. 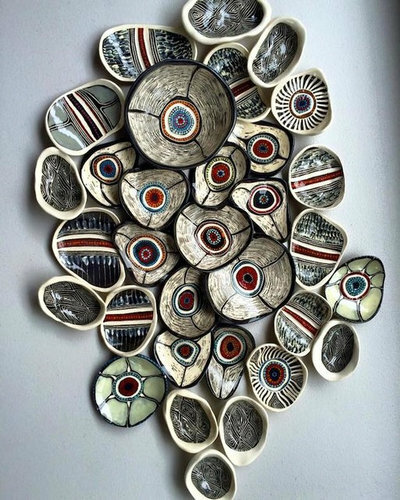 Titchkosky says design retailers can elevate Indigenous design motifs and symbolism out of the kitsch and souvenir market, and give the work the respect and opportunity it deserves. “It is slowly happening,” she says. 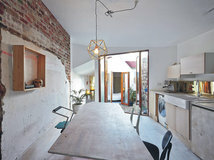 “Projects like the Barangaroo development, a new urban development in Sydney, require that all tenants use elements of Indigenous design” in their spaces. 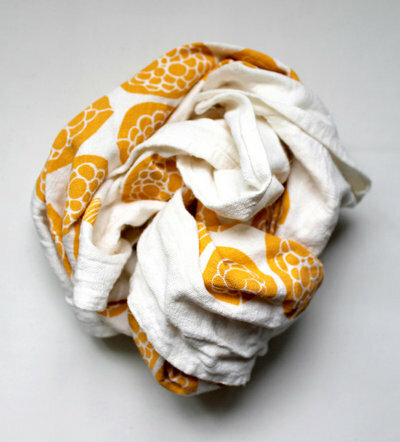 Lucy Simpson studied graphics and textile design at the University of New South Wales’ prestigious College of Fine Arts in Sydney. She now runs her own design practice called Gaawaa Miyay (River Daughter). 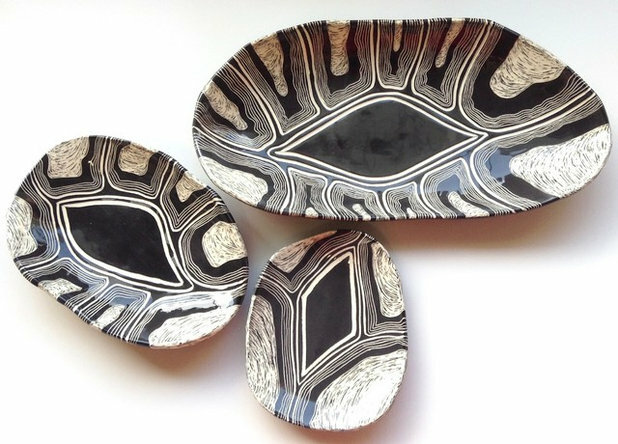 “I am passionate about all aspects of Aboriginal design and draw inspiration from my Yuwaalaraay family country” in north-western New South Wales, Simpson says. 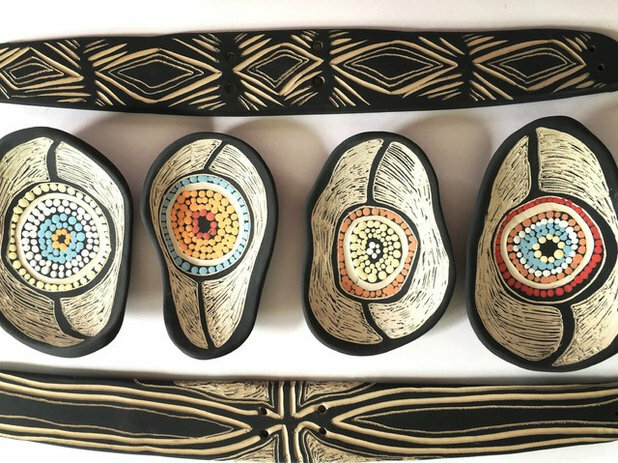 Simpson creates visual narratives through textiles (digital and silk-screen printed), as well as graphic design and commissioned works, to express, illustrate and share aspects of a contemporary Aboriginal culture and way of life. “Through design I share these perspectives with audiences, wearers and viewers, bringing Yuwaalaraay country and story, and life outside of the banks of our freshwater rivers, fostering an understanding of contemporary Aboriginal culture, and its diverse beauty and strength,” she says. Designer Alison Page was inducted into the Design Institute of Australia’s Hall of Fame in 2015, and she has been the recipient of numerous design and leadership awards. Four years ago, she established the National Aboriginal Design Agency as the commercial arm of the Saltwater Freshwater Arts Alliance, a not-for-profit organisation governed by 10 local Aboriginal land councils in northern New South Wales. There she worked with local artists to develop and promote their work. “Just as every tree, river and mountain has a story about its creation, I try to think how the built environment and design is adding to that story,” Page says. 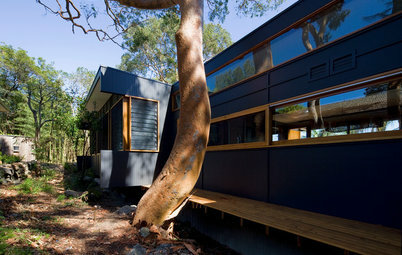 These ancient design principles should be what drives contemporary Australian design, Page says. 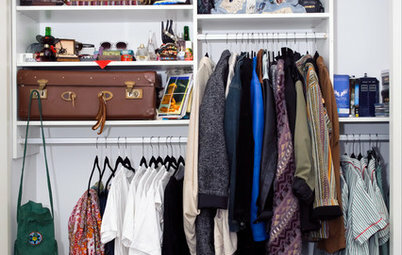 “By giving more meaning to objects, we can make them more precious and therefore more sustainable,” the designer says. “If you look at the design of the boomerang, the woomera [a spear thrower painted in designs that indicate its owner’s linguistic group] or any of our tools, you will see objects that are sophisticated in their function, and that tell a story through the art and decoration carved into them,” she says. 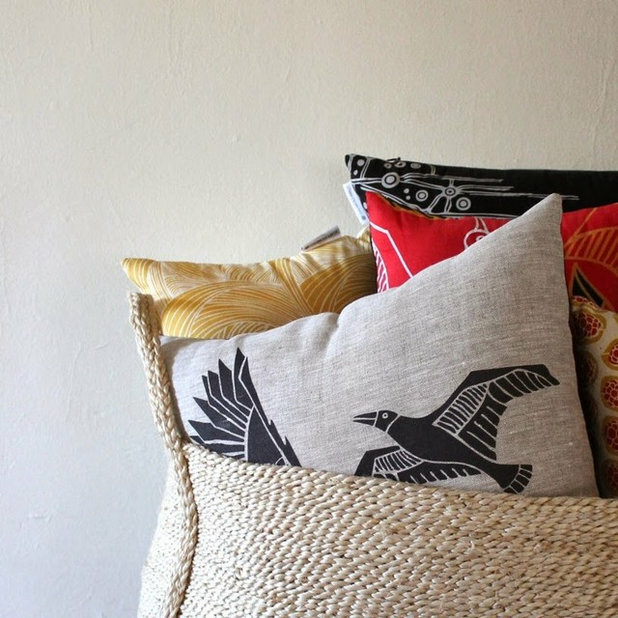 In fact, a growing number of designers with Aboriginal heritage are contributing to the development and production of high-quality contemporary homewares, products, furniture, textiles, interior design and architecture. 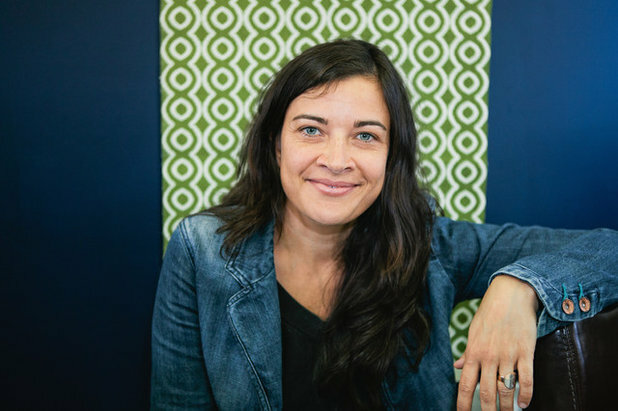 Like Simpson, Nicole Monks is an award-winning contemporary designer with her own design practice, called blackandwhite creative. 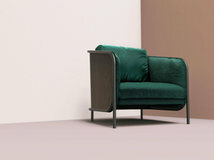 She is currently creating two furniture ranges inspired by her Aboriginal, Dutch and English heritage. Nicole belongs to the Wajarri Yamatji language group of the Gascoyne-Murchison region in Western Australia. 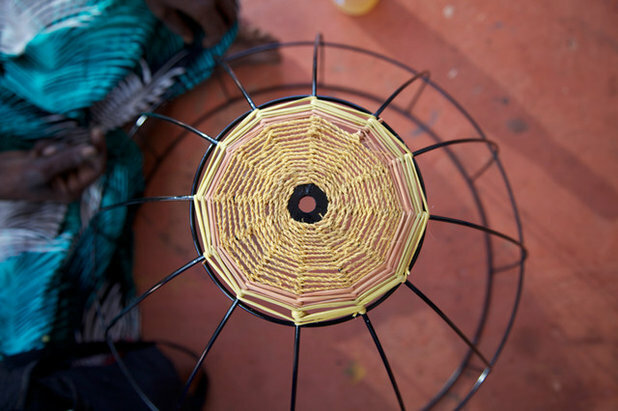 With support from ArtsNSW and manufacturing by BSeated, the two ranges, Nyinajimanha (Sitting Together) and Wabarn-Wabarn (Bounce), are to be launched by the Australian Design Centre this year. 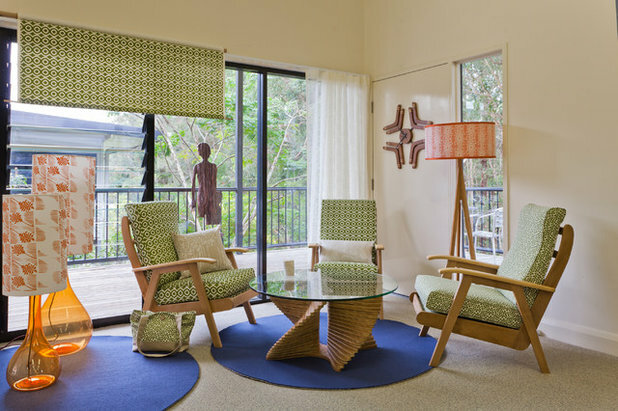 The furniture is custom made from eco-friendly materials, made to order and manufactured locally, a process Monks says aligns with an ethos of sustainability. The finishes and colours reflect the natural environment of Wajarri Yamatji country. 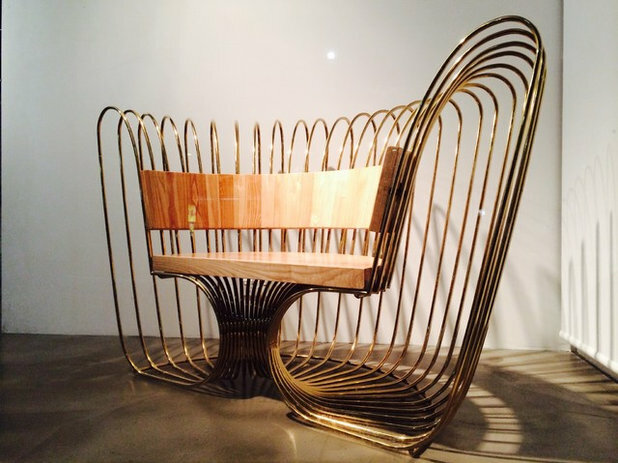 For example, the Walarnu (Boomerang) chair comes in gold, copper and tin. “All these minerals are found on Wajarri Yamatji country in Western Australia,” she says. 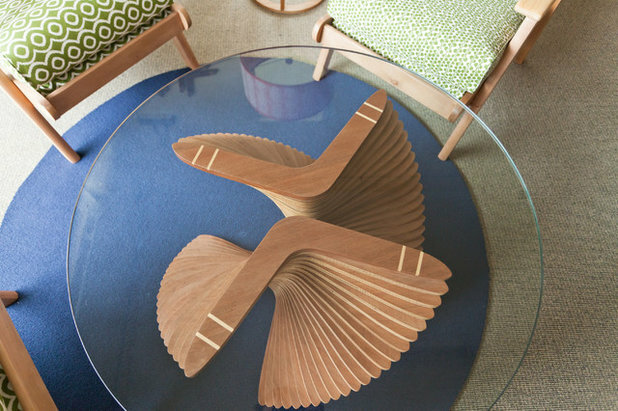 Inspiration for the chair comes from the hunting boomerang. The repetition of this shape is symbolic of the boomerang’s movement through the sky. “The hunting boomerang shape is very different from the very symmetrical common boomerang,” Monks says. “It does not come back!” The shape allowed Monks to open up a design conversation about hunting methods and technologies used by Aboriginal people. Monks has also worked on collaborative projects, including Marri Ngurang (Large Place). 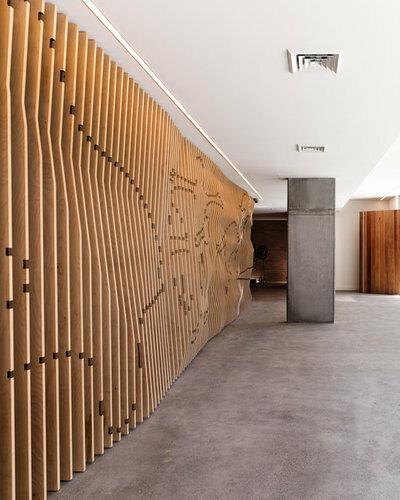 The public art installation, a rock wall etched with Aboriginal symbols, was designed to sit within the entry foyer of an affordable housing block in Eveleigh, Sydney. It is a collaborative work between Monks; Charles Madden, a Gadigal elder and artist; and architectural firm Urban Future Organisation. 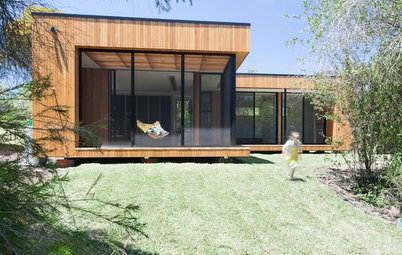 The timber installation tells the traditional stories of Gadigal country, Sydney. 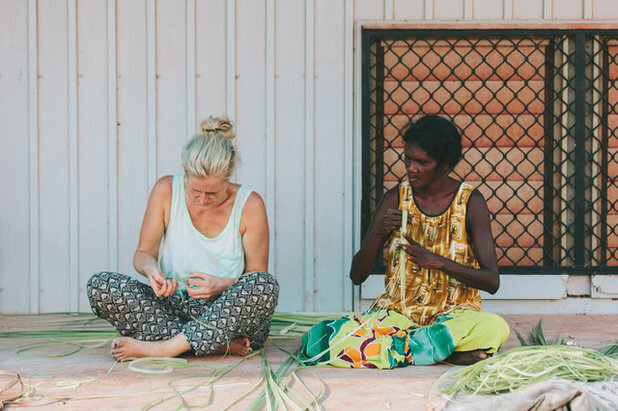 Monks, who expanded her design journey with a textile and surface design label called Pandanah, a cross-cultural collaboration with Cara Mancini Geros, believes that traditional Aboriginal cultural perspectives expressed in new forms will inspire the next generation of designers. Mixing a variety of influences with inspiration from a complex cultural heritage is what characterises much of new Indigenous design work. 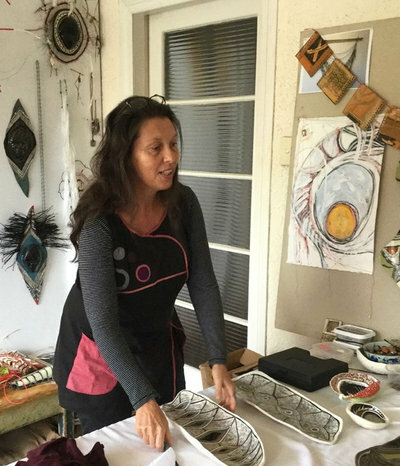 For example, the classical European technique of sgraffito (scratching the surface) is a strong feature in the graphic designs that decorate the ceramics of Northern Rivers artist Penny Evans. 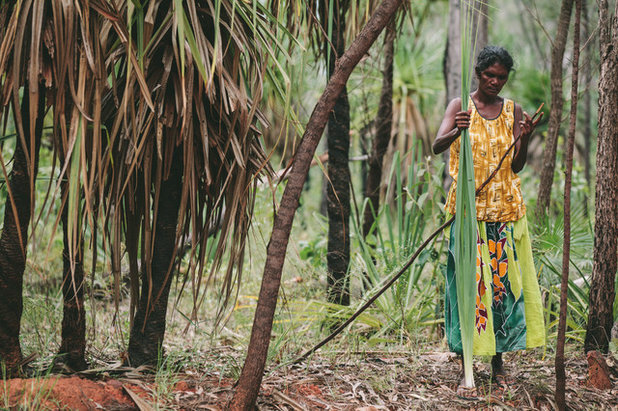 “It links to my Kamilaroi-Goomeroi cultural heritage, where there was a tradition of carving into trees, weapons, utensils as well as ground carving for ceremonial purposes, communications and storytelling,” she says. 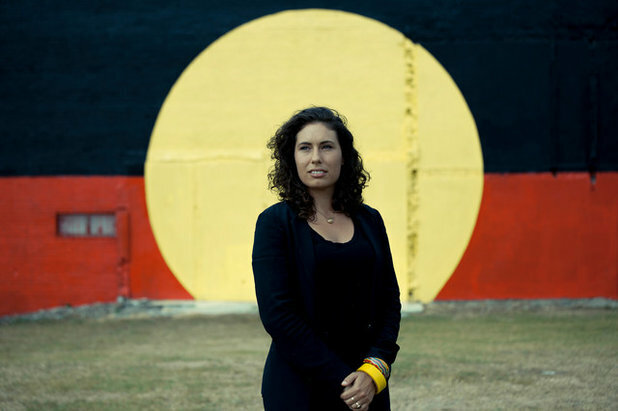 “My ancestors inhabited the homelands to the north-west of Bundjalung country in and around Garah, Mungindi and Narrabri,” says Evans, who also has a Anglo-Celtic and German heritage. She says this multicultural background puts her in a unique position to explore the meaning of being Australian through art and design. Evans combines these influences with a playful retro ‘Aboriginalia’ souvenir style of ceramics that was popular in Australia in the 1950s and ‘60s to develop her own evolving graphic style. 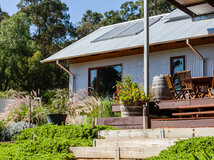 Evans sells from her website, and her work is also sold at the Art Gallery of South Australia shop and the Michael Reid gallery in Murrurundi. 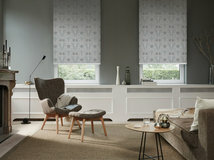 What do you think of these beautiful designs? 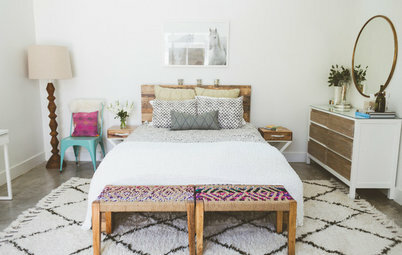 Do you think we have much to learn from our Indigenous design heritage? Share your thoughts in the Comments below. Beautiful and inspiring; praise to these women and how they honor their home and tradition. 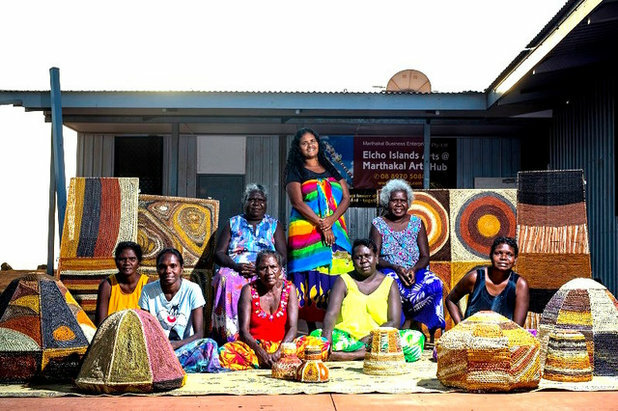 It is so wonderful to see these arts and crafts with designs come alive in Aboriginal Communities.For five years I worked with YMCA in NT as an Aboriginal Recreational Training Officer encouraging all the communities to include Traditional Activities,Sports,Culture,Arts and Crafts.What an achievement for the Women and to all many many congratulations.Its truly remarkable the Revival.I love it. 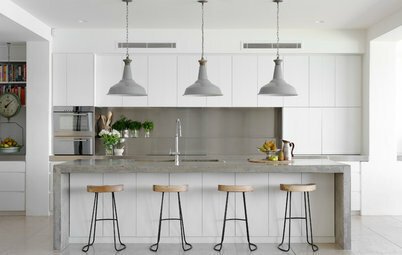 Kitchens How Much Does a Kitchen Benchtop Cost?